San Marino based SpyOff VPN is a fairly new & small scale privacy provider, and is a part of Sareta S.r.I. 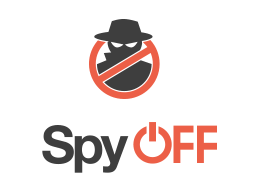 SpyOff is based on the mission to keep you anonymous online while you browse, download and stream video. Being one of the first websites to review SpyOff, we will analyze the provider’s offering and while being gentle conclude if the brand truly has the grit to survive the merciless best vpn industry. Our Spy Off review for 2017 will only aim to present all findings and tests in the most transparent manner as possible. Read on to know more about SpyOff VPN reviews of servers, pricing, compatibility, support and more. The website has a pretty simple design something that really impresses me when it’s a new provider. Update: Don`t Forget to Read our extensive vpn reviews guide. SpyOff establishes a VPN network in 21 countries powered by its 325 servers. Locations seem handpicked to ensure coverage in the most popular locations for browsing news & entertainment, streaming services, and torrent allowed countries. Popular destinations included in the network are Belgium, Germany, Netherlands, Luxemburg, Switzerland and South Korea amongst other high speed locations. Although the website FAQ and knowledgebase makes no mention of the words torrents & P2P filesharing, “downloading” has been mentioned frequently on the website. Therefore you can download using P2P software & torrent clients when connected to selected locations (Netherlands, Belgium & Luxemburg recommended). I was really optimistic about the results and SpyOff did not disappoint. SpyOff VPN offers a very powerful network infrastructure, and though Ping times were high as you can see above, the tests recorded phenomenal speed. I would suggest streaming users and torrent users try out SpyOff since their network is underutilized still. For more info you can always contact SpyOff VPN support and write to them using the Ticket section. 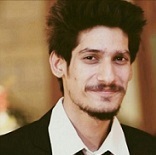 A dedicated page to answer all your basic service related queries including VPN, SpyOff services, internet connections etc. This alphabetically archived section providing you all the necessary information about SpyOff features, local services, affiliate information, apps and other aspects of the provider. The knowledgebase is a detailed categorized library of latest & popular articles related to the brand. The section seeks to answer payment, account, configuration, and compatibility queries. The ticket system is currently your online choice to reach out to the management, tech teams, and other members of SpyOff support. This dedicated ticket page also provides you direct access to the knowledgebase. I am really impressed by the ticket page itself which is designed to be subjective when contacting support with the option to attach files if required. One of the disappointing impressions of this SpyOff VPN review was when I got to the payment processing page. There is only one payment method, Credit Card with only MasterCard and VISA accepted to process payments. Having a single payment processor doesn’t make the service seem bad, since the provider is both new and a considerably small scale VPN provider we will give them time to see how they improve the offering by the time next year’s SpyOff review is due. Compatibility is no issue for SpyOff as this review unveils, the provider has locally designed & managed apps for Windows, Mac, iOS & Android. SpyOff VPN can also be configured over Linux Ubuntu machines, with proper tutorials available in the Glossary and Tutorial sections. All SpyOff apps are available from their respective app stores, while you can download the Windows app directly from the SpyOff website. You can also manually configure any of the compatible devices through the setup guides page, in addition to buying VPN routers directly from SpyOff VPN’s website. I was really happy to see they recommend two brilliant DDWRT VPN compatible routers instead of redundant devices. I have truly fallen in love with this provider’s offering after reviewing the Windows app. 2 click automatic installation process, plus self-configuring is all beginners will need. The SpyOff Windows app is simple to install and I hope most users will agree is easy to use too. The user interface is appealing and app stability is magnificent (it has been connected since 27 hours on my PC & 21 hours on my phone) so full points there. The user interface is so ridiculously simple and friendly, even a person with no VPN experience can get acquainted to the app in a matter of minutes. The one tab app gives you the option to choose which mode you wish to use, access to your Account area, and get premium support access. You can also contact the provider through their social profiles. In case provider apps are not your cup of tea, SpyOff ensures you remain protected by using their tutorials to configure VPN manually. Tutorials are available on the provider’s website in the “setup guides” section. One aspect that I constantly noticed while conducting this SpyOff VPN review is that the service was that the provider always tries to offer something extra. If you look at SpyOff VPN’s setup guides page, an additional “Custom and optional expert settings” menu awaits you. This section primarily aims to attract users who wish to manually configure and tweak their devices with SpyOff VPN. I especially like that SpyOff allows the user to control their security and speed while connected to the service. To ensure this SpyOff VPN provides the option to use both AES 128bit & 256bit encryption standards. Personal data is usually stored through the tenure of your subscription and when you close your account with SpyOff VPN, the data is complete scrapped with none of your personal details kept on servers. The use of the services offered by Sareta S.r.l., as well as email advertising provided that the user has issued consent. The continual further development and safeguarding of our offering, as well as the effective management of our services. 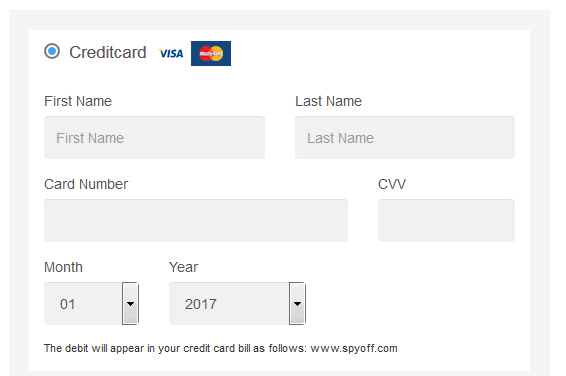 Irrespective of which package you subscribe to, SpyOff gives you a 15 days evaluation free trial to make sure that the service is up to your requirements. You can use all the premium servers, all premium features, and entitled to a full refund if the subscription is cancelled. Do remember that the free trial requires your card details to process, after 15 days you will have to manually cancel the subscription otherwise it will be charged accordingly. I was really surprised by how well designed & managed SpyOff VPN is as a brand. Being a new service I couldn’t believe it myself when I scored the brand a superb 4 out of 5, being honest SpyOff deserves this respect.